American Lake Park. Photo courtesy of Travel Tacoma. When the temperatures climb to 80+ degrees, consider spending your time lakeside. American Lake North Park offers a sandy beach, public swimming area, shaded picnic and grassy areas, and a boat launch. Bring some water toys for the kiddos and reading material for yourself. Just keep an eye on the little ones – no lifeguards on duty. When fingers have turned pruney but the kids still have energy, send them to the playground to burn it off. We love the grassy areas under the trees for a cool picnic in the shade. If you’re looking for room to stretch your legs, check out Fort Steilacoom Park, which provides visitors 340 acres of green space - including a HUGE off leash dog park. There’s plenty of space for walking and trail running on the paved and non-paved trails that criss-cross through the park. This is the largest park in Lakewood, so even on busy days you should be able to get some quiet time. For a manicured outdoor experience, swing by the immaculately tended Lakewold Gardens. Regardless of when you visit, there’s always something in bloom at Lakewold. Plan on spending about 90 minutes for the complete self-guided tour, or contact the garden ahead of time for a docented tour. Fresh baked goods at Hess Bakery and Deli. Photo courtesy of Travel Tacoma. If you forgot to pack a brown bag lunch, consider the affordable dining options in Lakewood for dining in or taking to the parks. For breakfast and lunch fare, featuring pancakes bigger than your face, visit Carr’s. Sweet tooth? Go to the original House of Donuts for delicious donuts in a uniquely identifiable building. You won’t be disappointed. International food? You picked the right place. Get all you can eat Korean cuisine at Gangnam BBQ, or grab some vegetarian friendly Thai options at Long Beach Café Restaurant. 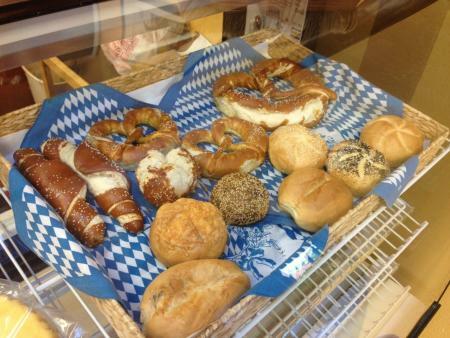 Hess Bakery & Deli is an authentic German bakery which makes fresh pretzels and sandwiches, and sells German goods. Nothing beats a perfectly salty, perfectly chewy pretzel, so that’s what we munched on while we explored Lakewood. 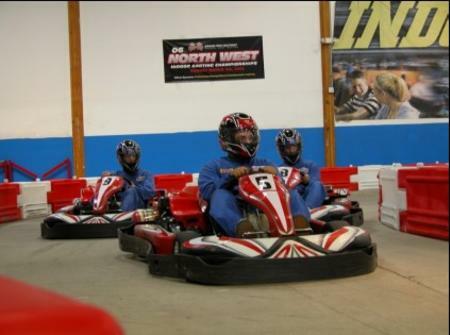 Go-karts at Grand Prix. Photo courtesy of Grand Prix Raceway. You’re sunburned. You’ve already been swimming twice this week. You suffer from extreme perspiration. Ok, we get it, sometimes it’s nice to enjoy the great air-conditioned-indoors. Pierce College has a digital planetarium, allowing visitors to observe the night sky in its current position. It’s a great option for both children and adults, where you’ll enjoy unique and educational experience. Throughout the summer public shows will be played on Wednesday afternoons, Friday evenings, and Saturday afternoons. SummerFEST logo. Courtesy of City of Lakewood. 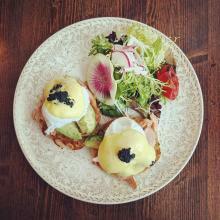 Need another reason to check out the city? I give you: SummerFEST. Get ready. Coming up on Saturday, July 9th, this all-day extravaganza features live music, a triathlon, trapeze classes, yoga in the park, glass flameworking demonstrations, Lego competition, face painting, kidzone children activities, international performing arts festival, a classic car show, food trucks, and local artist vendors. 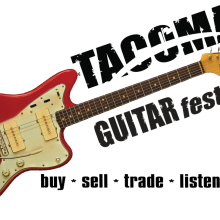 A serious celebration of summer at Fort Steilacoom Park that should have something for everyone. So there you go. 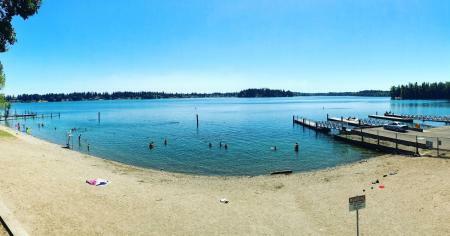 Pack a picnic, get your lake floaties, and go find out for yourself why some of us at Travel Tacoma + Pierce County will be spending more days in Lakewood this summer.